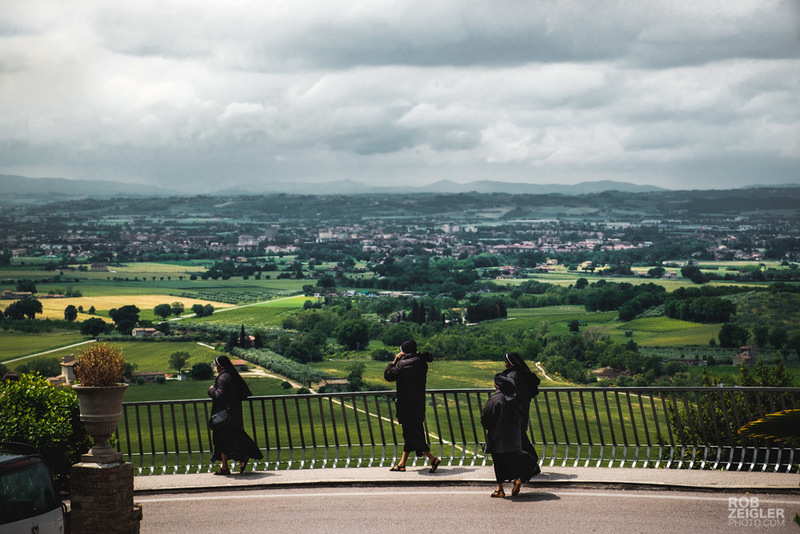 We’re on our way to Assisi, one of the most visited destinations in Umbria. 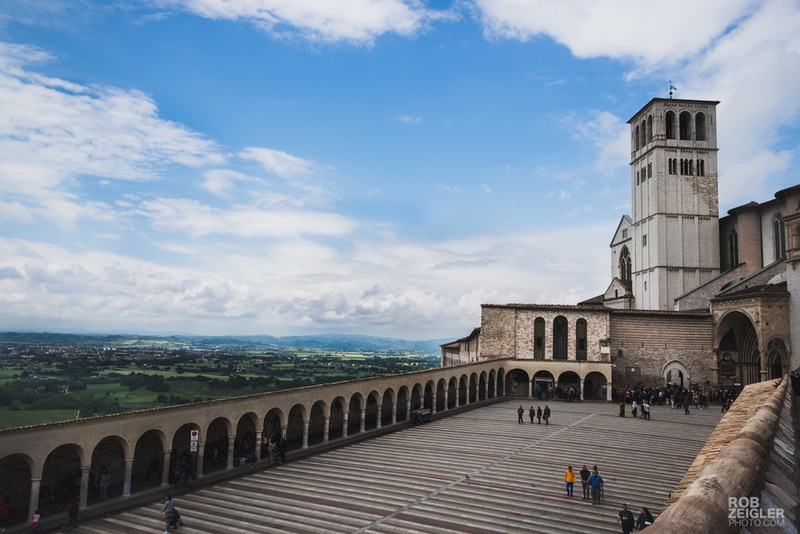 Located on the slope of Mount Subasio, Assisi is known mostly for being the home of Saint Francis and Saint Catherine of Siena, both patron saints of Italy. 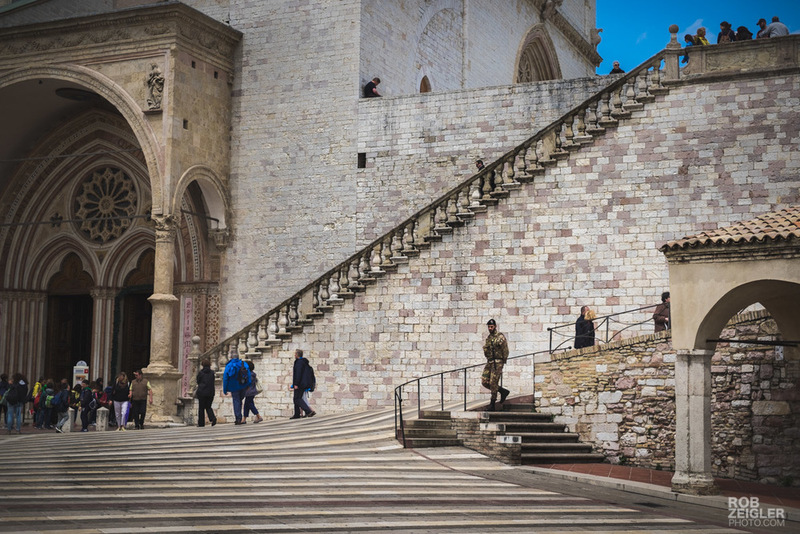 As with other nearby cities, Assisi has a tumultuous past filled with war, expansion, plagues, pilgrimages and rebirth. Early rain gives way to fog that eventually lifts to reveal sunshine and blue skies. From the Basilica walls, we can now see far into Perugia below. 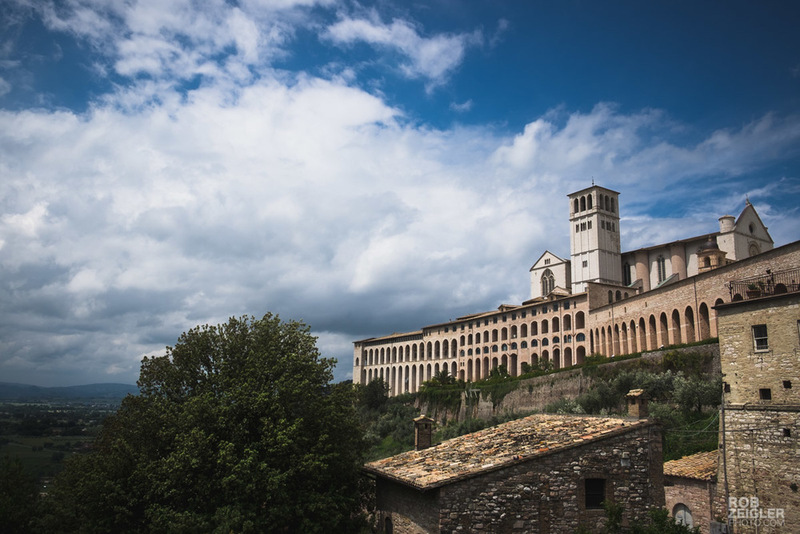 Assisi eventually expanded outside the confines of its Roman walls in the 13th century, but within the walls themselves you can still feel the peaceful spirit of Saint Francis. This is a holy place. 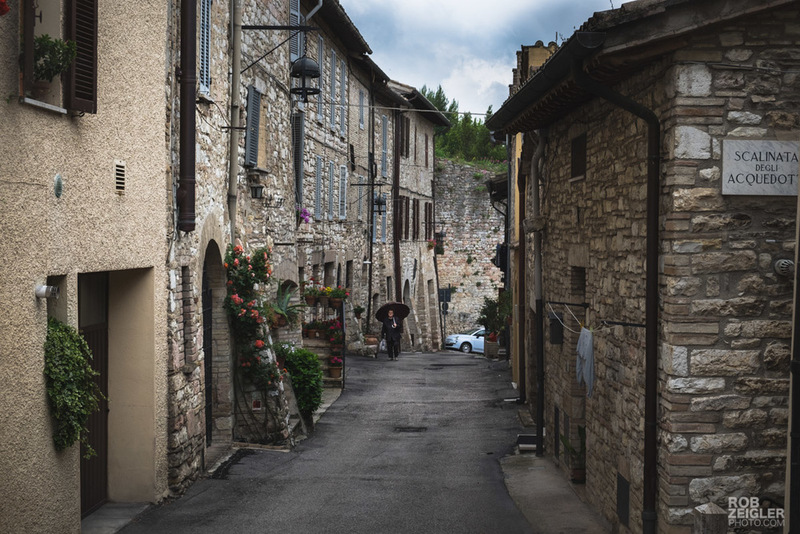 Pilgrims, priests and nuns make their way through the stone streets. Soldiers stop tourists for bag checks and do frequent patrols. It seems that even a holy site such as this is not exempt from the realities of the present day political climate.